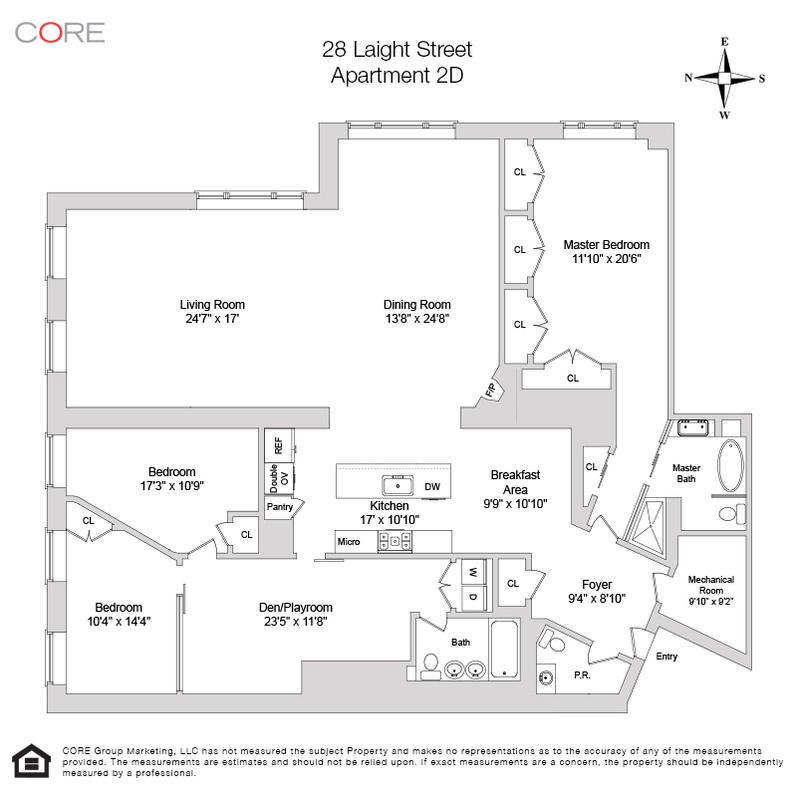 This spacious 3-bedroom loft at The Cobblestone Lofts offers the best in Tribeca luxury loft and condominium living. A perfect blend of classic loft elements with modern design, this massive 2,705 square-foot, L-shaped home with an especially large living & dining room features beamed-ceilings and extra-large eastern and northern casement windows, bathing the apartment in bright light and offering open exposures. Currently laid out as a 3-bedroom, it is easily converted into a 4-bedroom with an additional den, study or playroom area. The top-of-the line kitchen and informal dining nook form the heart of this cheerful and warm modern home. 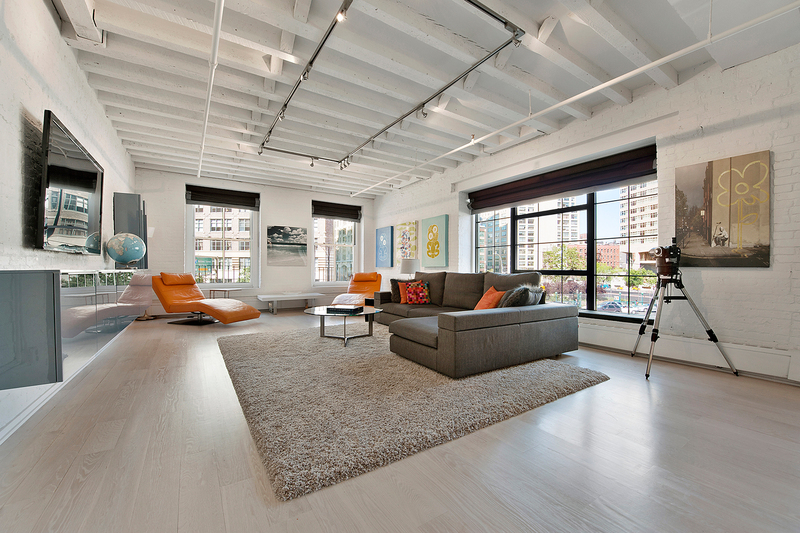 Wide plank floors, a wood-burning fireplace, central HVAC and laundry make this the ideal loft.